From the moment patient are seen by a nurse in the primary care setting, they are placed on a multifaceted decision tree designed to screen for myriad medical diagnoses ranging from minor annoyances to life-threatening illnesses. Unfortunately, it is typically only when medical etiologies have been ruled out that the decision tree branches sufficiently to include psychological concerns and disorders. 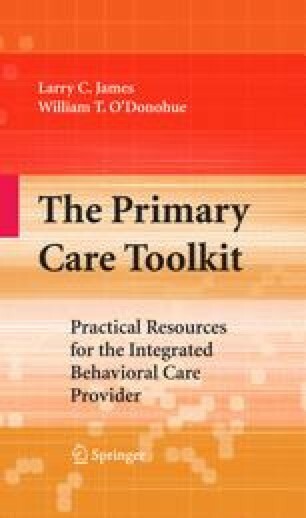 The integrated care setting invites the opportunity to screen for psychological problems while screening for medical etiologies. However, in doing so, the complexity of the already daunting task of identifying the likely causes of a patient’s distress increases exponentially.